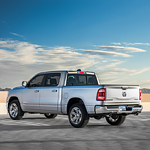 Drivers who are looking for a pickup truck and require only light-duty utility should consider the popular Ram 1500, a powerhouse vehicle that packs plenty of ability into its relatively compact frame. Haul cargo with ease, stretch out in the roomy cabin and enjoy the sturdy construction and cutting edge safety features of the 1500. High strength steel is the primary component of the 1500's chassis and frame. This tough material means you can carry heavy loads in the bed and also be assured that the 1500 will stand up well in the event of a collision. If you are in the market for a full-size pickup truck, the Ram 2500 is a popular choice among Cadillac, MI consumers at Don's Auto Clinic because it is one of the best models in its class with a number of class-exclusive features. This heavy-duty pickup truck offers three available engines and two transmissions. 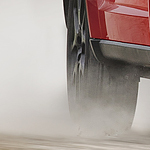 The Ram 2500 comes with a six-speed manual or six-speed automatic transmission. The six-speed manual transmission provides you with increased torque for improved performance. This transmission is only offered with the 6.7L Cummins Turbo Diesel engine. 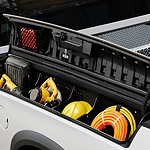 If you're looking for a vehicle that can provide you with the power you need to complete any job, take a look at the Ram ProMaster City. This popular cargo van and passenger wagon is equipped with a robust engine that's designed to enhance the way you drive. There are some rugged and luxurious features of the Jeep Wrangler. This can be the vehicle for all of your adventures, on and off the road. The interior is durable and can be rinsed out with water, complete with drain plugs. There’s a productivity screen to connect with navigation and entertainment. Plus, there’s a lockable console to store all of your valuable items. 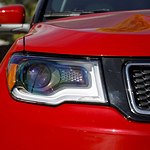 The Dodge Journey is a versatile and fun utility vehicle that appeals to young Americans seeking a do-it-all companion to their adventurous lives. The Journey is a vehicle that can grow along with young families, offering many exclusive and useful features that make the road to your adventure a little more convenient. Are you on the market for an automobile? If you are, consider the Chrysler 300. One of the reasons why the Chrysler 300 sought after in this day in age is its amazing set of interior features. The Chrysler 300 is highly stylish and practical. The Chrysler 300 interior features include leather seats and room for five. 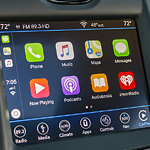 The Chrysler 300 also features a six-speaker sound system, complete with satellite radio and Bluetooth. The Chrysler 300 has to USB ports. The Dodge Charger is a sporty sedan that is noted for being a powerful car that has superior acceleration. The Charger is a reliable vehicle that has sufficient interior room to transport the family in a comfortable manner. 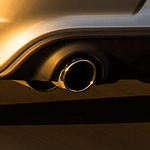 The Dodge Charger features a number of top performance features. 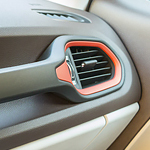 Although the Jeep brand has a reputation for being the most fun vehicle on the road, it also is known for its impressive list of safety features, all designed to keep passengers safe on all of their adventures. The 2018 Jeep Renegade boasts a host of safety innovations engineered to the highest specifications. The seven standard airbags provide protection from all angles of possible impact. The available LaneSense Lane Departure Warning and Lane Keep Assist are designed to help drivers to stay in the right lane. What Colors Does the Dodge Grand Caravan Come In? Looking for something practical to carry you and your family from one desired destination point to another? 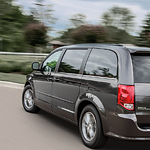 Then the popular Dodge Grand Caravan is the minivan that will quickly grab your attention. Not only is it known for its practicality, but it is known for being one of the safest minivans that you can buy. If you’re considering a compact SUV as your next vehicle, you’re sure to love everything that the 2018 Jeep Compass has to offer. The Compass loads numerous popular features into an attractive package, making it a great choice for commuters, families and outdoor aficionados alike.